Give your entryway or hallway a classic, Western look with this handcrafted, Western style bench. The bench is designed without a back, and the top of the well padded seat is upholstered with rich, brown, full grain leather. The sides of the seat are upholstered in patterned, real cowhide, and the lower part of the cowhide upholstery is adorned with decorative, silver nails. The junctions of the leather and the cowhide upholstery are double stitched together for extra strength and durability. The bench has a robust, solid wood base, and the bottom of the base is embellished with an elegant, twist rope design. 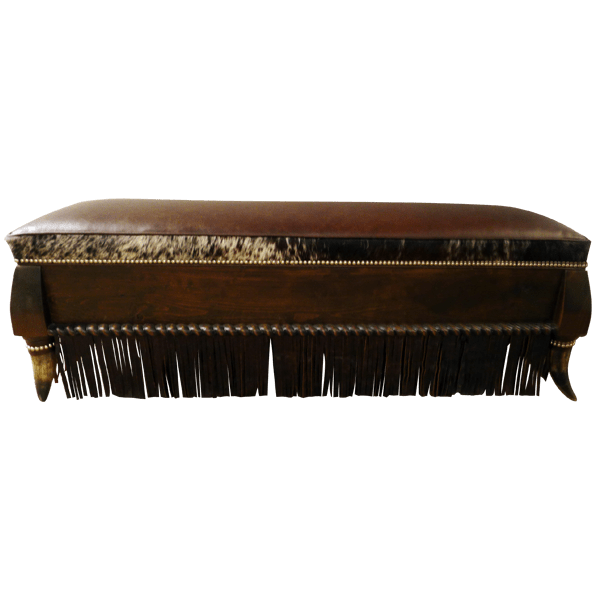 Curled, leather fringe is affixed to the base of the bench. 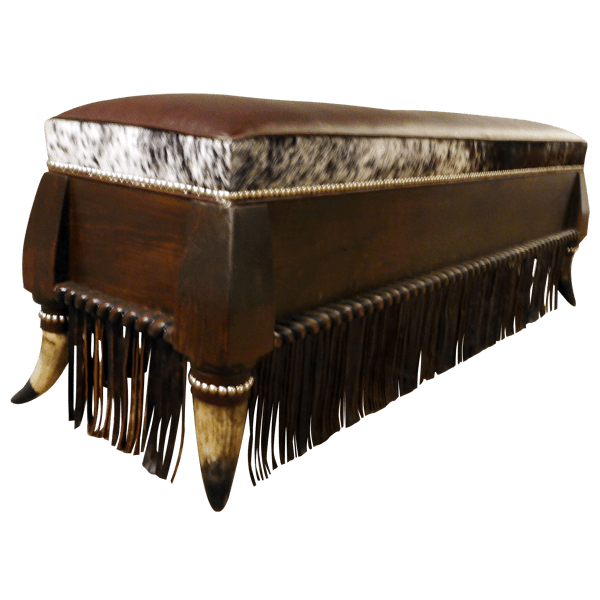 The bench rest on sturdy, inverted, cow horn supports, and the hilt of each horn is adorned with a leather strap secured with decorative, silver nails. It is made with the best, sustainable, solid wood available, and it is 100% customizable.